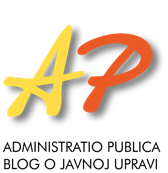 Dear readers and followers, the number 2/2017 of the journal Croatian and Comparative Public Administration has just been issued. The new issue contains six scientific papers which deal with three different topics: decentralization and local democracy, administrative theory and public law, In the session devoted to decentralization and local democracy Simona Kukovič presents empirical evidences about local leadersin Slovenia while Josip Jambrač gives and financial analysis of the first fifteen years of functional decentralization in Croatia. In the session devoted to administrative theory,MirnaPuđak explains the contribution of Mary Parker Follett to organizational theory and management while Ivan Lehpamer presents the results of the content analysis on comparative research of public administration in the Croatian scientific journals in 2009-2016 period. In the last session, Ana Pavlovska-Daneva and Elena Davitkovska write on the Macedinian Law on General Administrative Procedure and its incorporation into European administrative standards, while Matija Miloš writes abouts standards for applying the right to be forgotten and the temporality of freedom of expression in Spanish case law. The last part of the journal contain information on the scientific conference Looking Beyondthe Crises: Impact of Mass Migrations on theLocal, Regional, National and EU Governance organized by the Institute of Public Administration and the conclusion reached at the conference. In addition the Interview with Professor Ivan Koprić for the International Institute of Administrative Sciences is being published.